Acadian Hills Country Club is no longer one of South Louisiana's best-kept golfing secrets. Located in the heart of Acadiana, at the crossroads of I-10 and I-49, Acadian Hills boasts Lafayette's friendliest and most informal semi-private 18 hole golf facility. 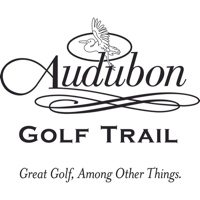 Serving Acadiana since 1962 and offering a complete country club facility for golfers wanting to "pass a good time." Our professional staff is dedicated to creating an enjoyable experience for every member and guest. Whether you are enjoying the "good pace of play every day" on our beautifully maintained, tree lined golf course, networking with other professionals, enjoying our clubhouse facilities, basking in the sun by our swimming pool, or enjoying a Sunday lunch with family, Acadian Hills Country Club is your haven. Please call 318-232-1979 for current rates. Call 318-232-1979 for rates and tee times. Contact Acadian Hills Golf Course at 318-232-1979 for more information and details on holding a golf outing at the course. Contact Acadian Hills Golf Course at 318-232-1979. Contact Acadian Hills Golf Course at 318-232-1979 for onsite or nearby dining options. This profile was last updated on 07/03/2018 and has been viewed 4,971 times.